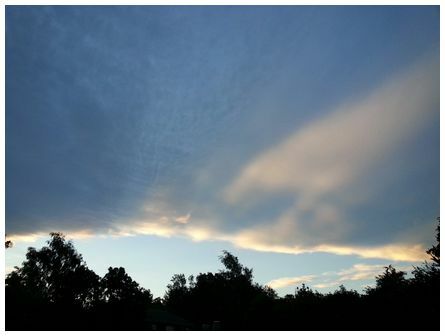 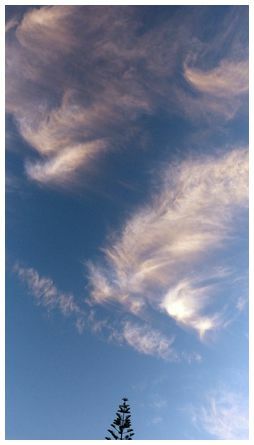 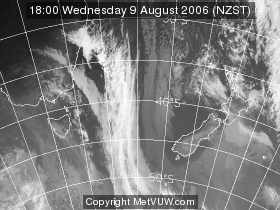 'Norwest clouds over Rangiora at 20:20 on 26 February 2016 on a hot and windy evening thanks to the foehn effect' wrote Gerard. 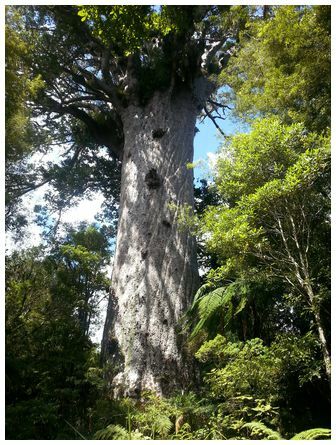 'Clouds above Tane Mahuta - one day in the life of the King of the Forest of ours - around 2,000 year old tree! 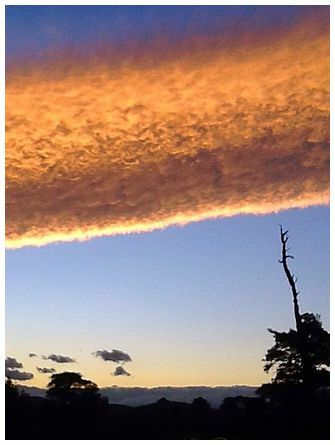 51.5m high 13.8m girth! 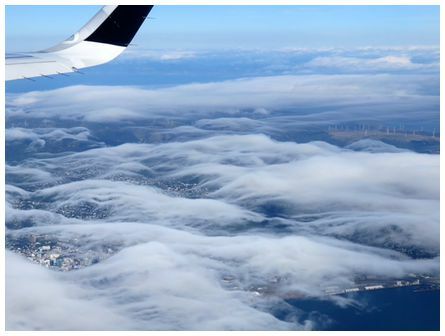 Taken 23 February 2016 at 15:00' wrote Josefa. 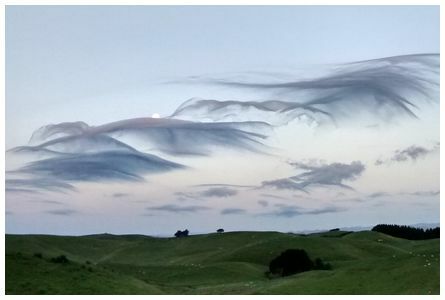 'Taken looking towards Tararuas from taken from my garden Kahumingi 15 Kms east of Masterton on the evening of 18 February 2016' wrote Karin. 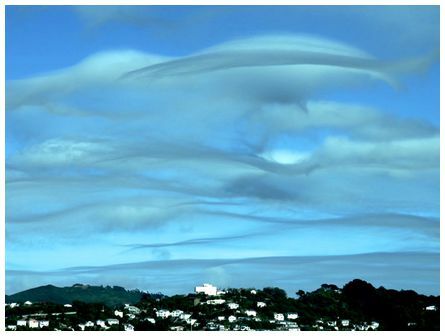 'Wellington through layered lenticular clouds taken at 10:30 at 9 February 2016 with my Canon SX 700' wrote Alison.